I honestly should have known better than to occur this, since I've bought other recordings from Innovative and JapanesePod101.com. That said I was still disappointed. The Japanese native speaker is just banging out the words, with no breakdown or help in pronunciation. 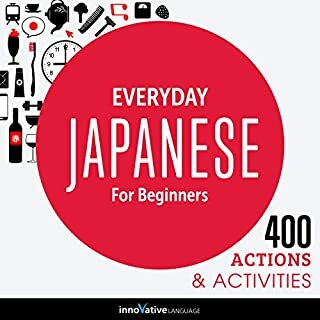 I'm an intermediate level Japanese language student with basic conversational Japanese skills and i couldn't make out much of what she was saying, if you're a beginner you'll have no chance. Also there's no pacing or spaced repetition just word after word. No chance to memorize what you've just heard. If you're a JLPT2 maybe this would be useful, since you're already fluent, otherwise, forget it.